SEATTLE, Wash. - Portland Timbers forward Dairon Asprilla started just once in the final eight games of the 2018 MLS regular season after struggling to score in his opportunities on the field during the middle of the year. The Colombian forward scored in extra time before netting the game-winning penalty kick to lead the Timbers past the Seattle Sounders in a wild Western Conference semifinal series. 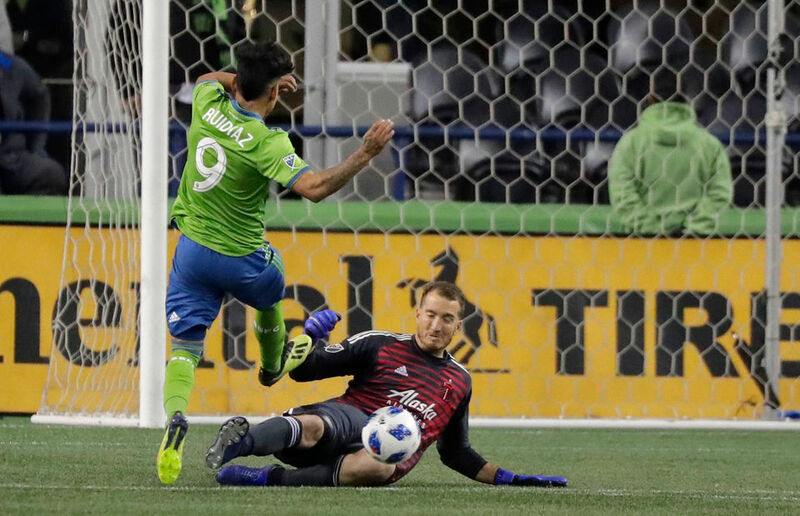 Timbers goalkeeper Jeff Attinella dropped a cross from Sounders midfielder Victor Rodriguez in the 68th minute, enabling Seattle forward Raul Ruidiaz to score easily. Blanco got on the end of a pass from Asprilla in the 78th minute and fired a shot from the top of the box into the corner of the net to tie the game up at 1-1 and give Portland a 3-2 lead on aggregate in the series. Blanco accidentally headed the ball up to Ruidiaz while trying to make a clearance in the box, allowing the Peruvian forward to score on a volley to give Seattle a 2-1 lead in the game and tied the series up 3-3 on aggregate. The Timbers insisted after the game that they were celebrating the chance to go to penalty kicks, but it looked on the field as if the players thought they had won due to the away goal tiebreaker, which doesn't apply in extra time.